Florida’s largest Maker event, Maker Faire Orlando, celebrates its fifth anniversary the weekend of October 22-23, with a move to a new, larger venue. Maker Faire Orlando 2016 will be held at the Central Florida Exposition Park (Fairgrounds), and feature hundreds of local Makers, hands-on workshops, and more that will entertain and inspire. Florida’s largest maker event, Maker Faire Orlando, will celebrate its fifth anniversary in 2016 with a slew of big changes. How big? A new date, new venue, and more space for community maker groups. As annual Orlando Science Center passholders, my family and I look forward to Maker Faire every year, but this year’s event was a bit of a tiring experience from us, but with no fault from the actual event. I can say that we missed a lot of activities due to homework projects and kids being kids, not in a good way. But we did make it to the Science Center along with lots of other people. The fourth annual Maker Faire Orlando will take place September 12-13, and it’s even bigger than ever before. 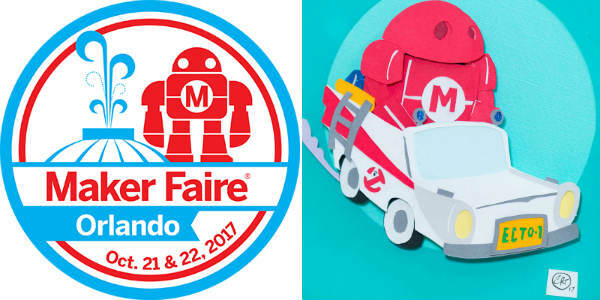 Maker Faire Orlando will take place on every floor of the Orlando Science Center, outside in Loch Haven Park and, for the first time, the Orlando Museum of Art, and there will even be an appearance by The Daily City’s Food Truck Bazaar. Maker Faire Orlando has gotten so big, it will be expanding into the Orlando Museum of Art for the 2015 edition. 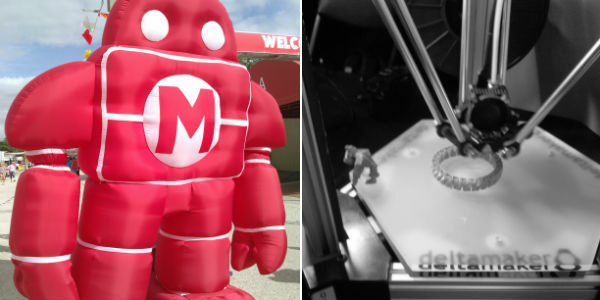 Thanks to a new partnership between Orlando Museum of Art, The Maker Effect Foundation and Orlando Science Center, Maker Faire Orlando 2015 will be held on September 12 and 13 in the Orlando Science Center, Loch Haven Park and the neighboring Orlando Museum of Art. 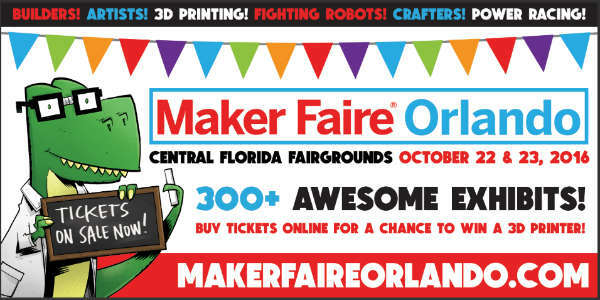 Maker Faire Orlando, one of the most popular tech events at the Orlando Science Center, has announced its dates for 2015. 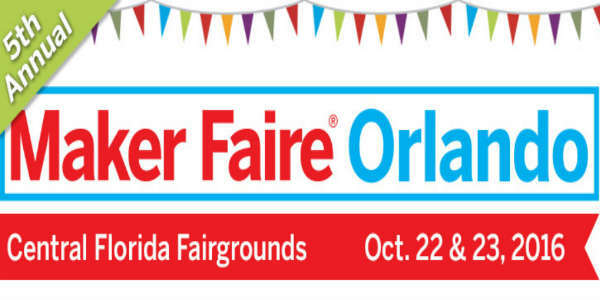 Maker Faire Orlando 2015 will take place September 12 and 13, at both the Orlando Science Center and neighboring Loch Haven Park. 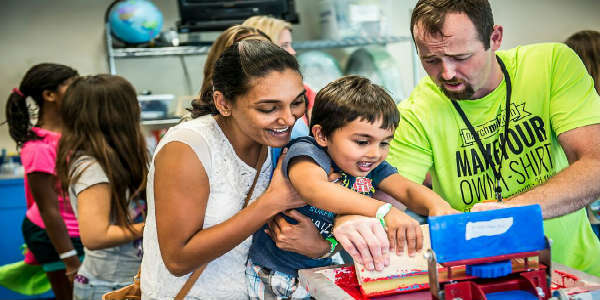 If you love science and technology, you will definitely want to check out the annual Maker Faire Orlando event, which returns to the Orlando Science Center the weekend of September 13 and 14. 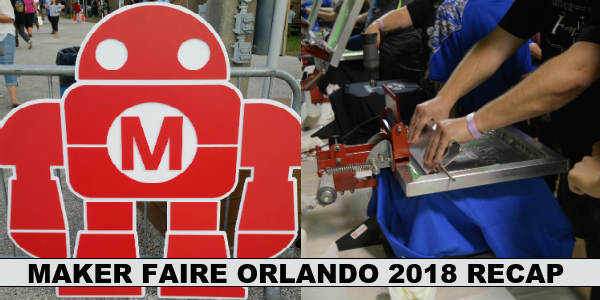 Maker Faire Orlando is an annual community-organized, family-friendly celebration featuring local do-it-yourself science and technology, art, rockets, robots, crafts, music, hands-on-activities, and more. 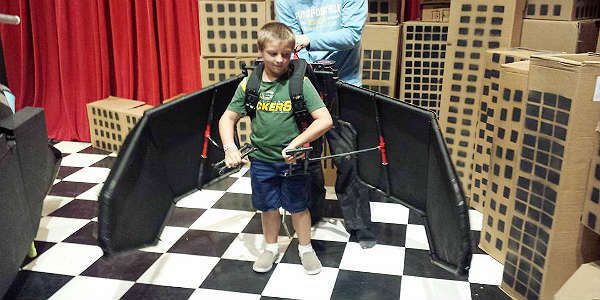 The individuals behind these exhibits are known as “Makers” and they range from tech-enthusiasts to crafters to homesteaders to scientists to garage tinkerers. Makers are of all ages and come from many backgrounds.